YOU ARE HERE:Home » Fundamentals » Which antenna gets deactivated when you provide less than full power to a Cisco 3700 ? A question was asked on Cisco Support Community (CSC) enquiring about what antenna is deactivated when a Cisco 3700 access point doesn’t receive a full 16.1 Watts. We have purchased 3702e and some of these access points can only get PoE (802.3af). Which antenna will be activated in this case? Thats a good question and it had me thinking. So I tapped my Cisco CSE, Carlos. BTW Carlos is one of the best CSE’s you’ll find. I’m very fortunate to have him as our CSE. The guy has memory recall with such precision it’s scary. Not to mention he is a CCIE R/S and W.
When an access point isn’t provided full power it can deactivate some combination of radio chains and spatial streams. Manufactures can dial back the access points performance while still providing reliable WiFi communications. This allows flexibility with power at the switch power level (PoE). We’ll focus on the Cisco 3700. 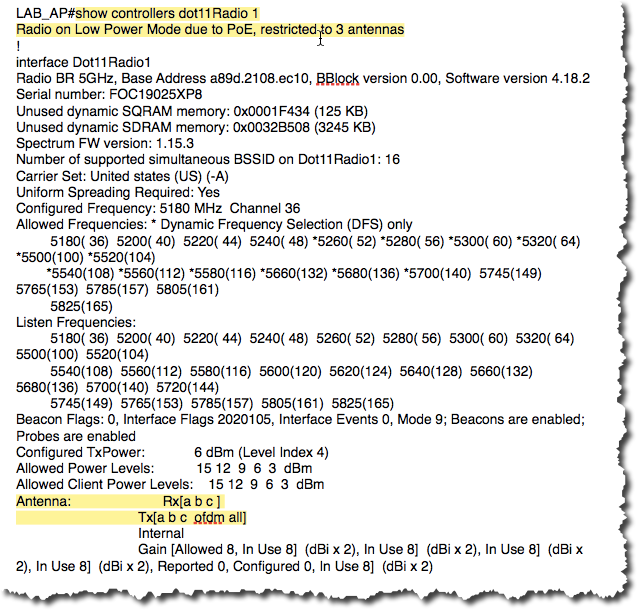 The data sheet shows 802.3at and 802.3af power combinations. Less power, less chains and streams. More power, more chains and streams. 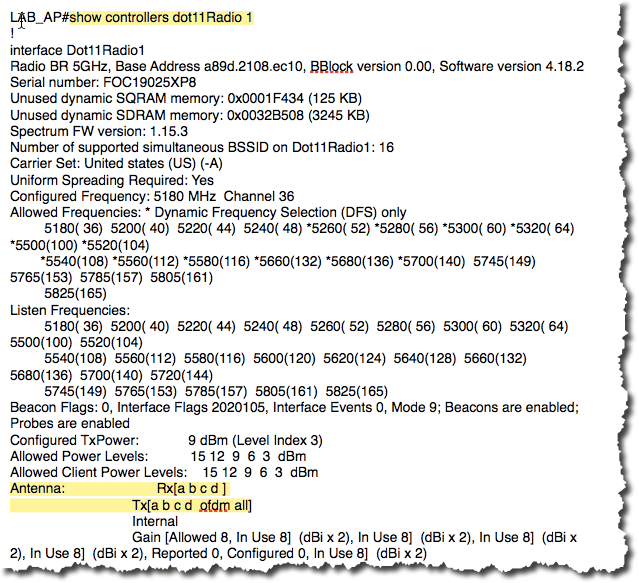 From a Cisco 3700 access point do: show controllers dot11Radio X. In this example you will see the access point is fully powered. We can tell this because of the the number of antennas used for RX and TX. 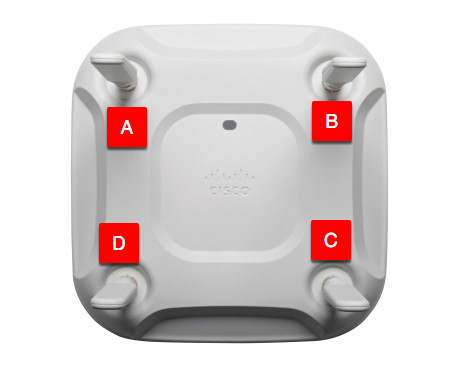 A,B,C and D.
You might be wondering which antenna port is D. On a Cisco 3700E look closely at the antenna bulk head. Each one is identified with A,B,C, and D. In this case the D antenna, it is located in the lower left of the 3700 access point.